Dr. Frye is a Professor and Chair for the Department of Pharmacotherapy and Translational Research College of Pharmacy. He received a B.S. in Biology from Oglethorpe University, a Pharm.D. from Mercer University School of Pharmacy, and a Ph.D. in Clinical Pharmaceutical Sciences from the University of Pittsburgh School of Pharmacy. 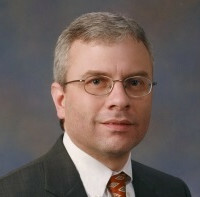 After completing graduate work, Dr. Frye remained on faculty at the University of Pittsburgh from 1995 until 2003, being promoted to Associate Professor with tenure in 2002. He joined the faculty at the University of Florida in July 2003 and in July 2012, he was promoted to Professor. Dr. Frye is a clinical pharmacologist by training and a licensed pharmacist. His search focuses on identifying factors that contribute to variability in drug response. In particular he has focused on drug metabolizing enzymes that contribute to pharmacokinetic variability observed with many drugs and natural products. Dr. Frye’s work in this area is currently supported by NCCAM, NIDCR and NIGMS. He serves on the editorial boards of Pharmacotherapy, The Open Drug Metabolism Journal, and Annals of Pharmacotherapy and as an ad-hoc reviewer for many journals, including Drug Metabolism and Dispostion and Clinical Pharmacology and Therapeutics.